ஜனநாயகத்துக்கு ஆதரவாகவும் சீன கம்யூனிஸ்டு கட்சியிலும் நாட்டிலும் மலிந்து விட்ட ஊழலுக்கு எதிராகவும் சீன மாணவர்கள் ஊர்வலம் போனார்கள். டியனன்மன் சதுக்கத்தில் குழுமியிருந்து கோஷங்கள் எழுப்பினார்கள். உள்கட்சிக்குள்ளேயே எந்தவிதமான வாக்கெடுப்பும் நடைபெறவில்லை. டெங் ஜியாவோ பிங் ராணுவ ஆட்சியை நடைமுறைப்படுத்தினார். டாங்கிகளும் ஆயுதங்கள் கவச உடை அணிந்த ராணுவமும் எந்த விதமான ஆயுதங்களும் இல்லாமல் நிராயுதபாணியாக இருந்த மாணவர்களை சுற்றி வளைத்தன. சுட்டுத்தள்ளின. ஆனால் வீட்டுக்காவலில் இருந்தாலும் தனது அனுபவங்களை டேப் ரிக்கார்டரில் பதிந்து வைத்திருக்கிறார். அவை அவரது ஆதரவாளர்களால் வெளியே கடத்தி எடுத்துவரப்பட்டு அவை புத்தகமாக தொகுக்கப்பட்டு வெளிவர இருக்கின்றன. பாராளுமன்ற ஜனநாயகமே சீனாவின் தேவை என்பதையும், அதில் என்ன குறைபாடுகள் இருந்தாலும், அதனை விட சிறந்த ஒரு அமைப்பு இல்லை என்பதையும் அனுபவப்பூர்வமாக உணர்ந்து கூறியிருக்கிறார். இந்த புத்தகத்தையும், சீன மாணவர்களையும், ஜாவோ ஜியாங்கையும் கேவலமாக திட்டி இனி தி இந்து, புதிய ஜனநாயகம் போன்ற சீன கைக்கூலி எச்சக்கலை பொறுக்கிகளின் பத்திரிக்கைகளில் படிக்கலாம். 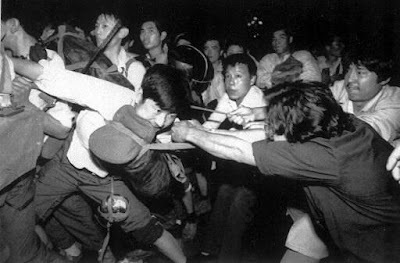 As Chinese students marched to demand democracy and an end to corruption, party elders were summoned to the home of the country’s paramount leader, Deng Xiaoping. The wizened veteran listened to moderates, including the general secretary of the Communist Party, Zhao Ziyang, urging dialogue with the students, whose protests were seen as the greatest threat to date for the party. 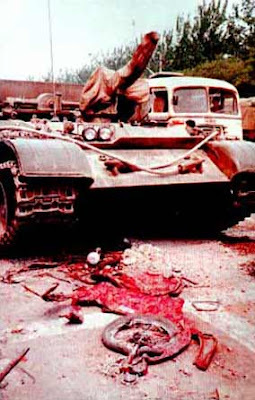 Then, without even calling a vote of the most powerful body in China, the Politburo Standing Committee gathered there, Deng summarily imposed martial law. 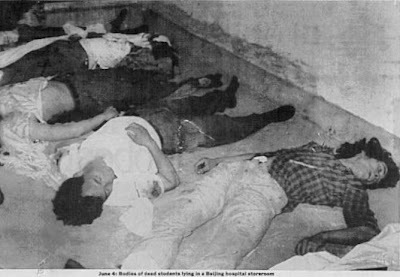 The army was called in and the student protests would be brutally crushed by tanks and troops in Tiananmen Square. 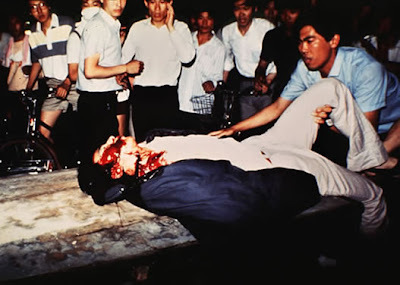 Now, on the 20th anniversary of the bloody suppression of the protesters, Zhao’s memoirs — painstakingly reconstructed from hours of tape recordings smuggled out by supporters — provide a unique glimpse of the deep divisions within the Chinese leadership. The first memoirs made public by such a highly placed party official will enrage today’s leaders because of his assertion that Western-style democracy is essential if China is to avoid future bloodbaths. The record made by Zhao — who resigned, was purged and held under house arrest for almost 16 years — is to be published this month as Prisoner of the State: the Secret Journal of Zhao Ziyang. So sensitive is the document that its existence was kept a closely guarded secret until days before publication. 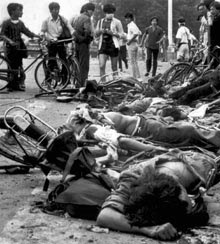 Speculation had been rife during his house arrest and after his death in 2005 as to whether the man with the most intimate knowledge of the behind-the-scenes machinations that led to the Tiananmen Square crackdown on June 3-4, 1989, had provided his own account of the dramatic days. 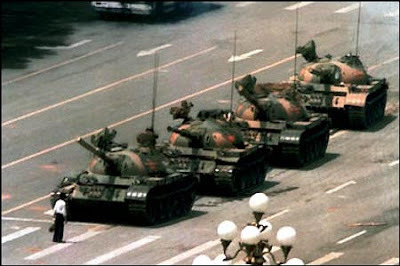 Troops backed by tanks entered Beijing to end weeks of student demonstrations. 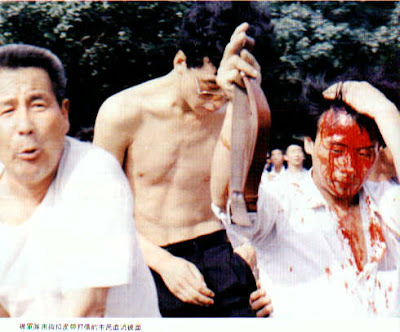 Zhao’s account confirms the bitter power struggle behind the scenes as the students occupied Tiananmen Square, and the deep rivalries between reformists and hardliners, as well as the crucial role played by Deng in the decision to use force. The memoirs project was so secret that Zhao’s top aide, Bao Tong, who was jailed for seven years after the protests, told The Times that he learnt of their existence only after Zhao’s death. “I knew he wanted to write something. I knew he would want to leave some record of his work but it was extremely difficult because he was under constant surveillance,” he said. Mr Bao said that there was no doubt about the authenticity of the memoirs. “This is an extremely valuable document for China and for the West,” he said. Zhao left the memoirs on 30 one-hour tapes that he recorded in about 2000. Mr Bao said that it had been impossible for the disgraced party chief to make the recordings before 1999, but after that he had found a way to bypass those watching and listening to him. The recordings include conversations in which he answers questions as well as sections that are apparently dictated from a now-vanished text. The tapes took Zhao about two years to make and he then found a way to pass them clandestinely to trusted friends. The materials were gathered together after his death, but much of the process remains a secret to protect those involved. Mr Bao said that to protect Zhao’s family, they had been unaware of the memoirs. “If the authorities want to pursue someone for political or legal responsibility for these memoirs then I will bear everything,” he said. டியனன்மன் சதுக்கத்தில் நடந்த கம்யூனிஸ்டு புரட்சியின் படங்களை மேலே காண்கிறீர்கள். இவர்கள்தான் தமிழ்நாட்டில் புதிய ஜனநாயகம் கொண்டுவரப்போகிறார்களாம். எப்படிப்பட்ட புதூஊசு என்பதை இங்கே பார்க்கலாம். விவாதம் செய்யமுடியாமல் ஓடிய தொடை நடுங்கிகள், நான் எழுதிய பதிலைக்கூட பிரசுரிக்க பயந்த தொடை நடுங்கிகள் மற்றவர்களை பார்த்து தொடைநடுங்கிகள் என்று கூறுவது எப்பேர்ப்பட்ட கூத்து! Dude you are doing a terrific job. I think because of u now the Vinavu posts also criticise China when posting about the Lankan issue. They still blame India much more than anybody But I think your efforts finally paid off and they are forced to accept the Chinese fascist role in Lankan Genocide. Keep up the good work.